Probably the biggest change to management practice in recent years has been the rise of email. Almost all forms of management, from review of information to actual decision making, take place within email. Even decisions that may take place in face-to-face meetings (real or online) frequently require the validation of a confirming email. This is all going to change. Rather than spend time dealing with email, managers in the future are going to spend time dealing with tags. This is why. Email is basically a form of distribution, it doesn’t really have any function outside of this. A tag, on the other hand, is a form of connection. It is a mechanism that allows the right people to be connected with the right information. We are just starting to realise that value within this new social digital space is only created when we harness its power as a medium of connection, rather than a medium of distribution. The things that exist within the social digital space (like Facebook, Twitter and LinkedIn) are actually best understood as infrastructures, not as media platforms. Media is all about distribution, whereas infrastructures are all about connection. Connection is something that best takes place within communities and there is huge value that can be generated by creating communities of connection. These can be communities of connection with, or between, your customers or consumers – or communities of connection within your business. Take a senior executive, show them how they could create and use a community within their business and I can guarantee you that the first thing they will do is breathe a huge sigh of relief and say, “phew, this will allow me to get rid of email”. Activity within a community is created by the act of tagging. We already know how you can use tagging to identify spaces, create conversations or ‘file’ information. But tags can also be used to allocate action. They can be used not just to identify what something is, but what needs to happen to it and also to identify when the appropriate action has been completed. Here is a very basic example of this process in action. Suppose as part of your monitoring of the relevant digital spaces, the monitoring team pick up on an important customer issue that they are unable to deal with. 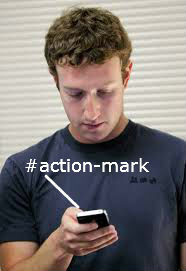 But rather then having to go through a laborious process of identifying the person who could take action, alerting them and giving them the relevant information – this issue could simply be pitched into the appropriate action space by attaching a tag to it (according to a system of tags already designed). The relevant people would be watching this tag space – and therefore see when they need to pay attention to something and once the relevant action is completed, they could then pitch the issue into ‘job done’ space, again by putting another tag on it. You don’t ‘flag’ information, you ‘tag’ information. The tag space becomes the equivalent of an intray – and your workload (indeed your whole job function) becomes defined by which tag spaces you have to track. Hence why people will find themselves checking their tags, rather than checking their emails. This is a whole new way of doing business and it is not just limited to tagging. Communities tend to dissolve the artificial boundaries that exist around hierarchies – mostly because these boundaries are defined by restricting access to information. However when you have a community, the value of the individuals within it is not determined by where they sit in a hierarchy, but via the value of their contribution. Good ideas don’t have to be passed up a chain in order to register with a ‘decision maker’: the idea and the decision maker can be instantly connected. Indeed the concept of needing a single decision maker starts to melt – decisions can start to be taken, or at least very significantly influenced, by the community. Most organisations, of course, are still doggedly trying to extract value from social media as a medium of distribution. It is why we are so obsessed with numbers, reach, engagement, content etc. However, I think we are approaching a moment when this obsession is starting to loose its grip. It is interesting to see the extent to which community platforms such as Jive and Yammer are really ramping up their marketing efforts as they position themselves to take advantage of what they hope will be a much bigger pipeline of interest. I have also recently been deluged by information from Get Satisfaction. I have long been a fan of Get Satisfaction: they have been one of the tools I have been waiting for to ‘take off’ – although I now notice that their response to the opportunity seems to have been to wildly increase their price. For a service that started off as being free (indeed started off as being a tool to allow customers to build their own communities about organisations- a bit like Trip Advisor, but for brands) it now seems that the entry level cost is $1,200 per month. But of course you don’t really attach that sort of a price tag to yourself unless you are pretty confident you can create a lot of value and that there will be a significant demand for your service. Here is a bold claim. In social media you can’t make money out of individuals, only communities. Here’s why. In the good old days, the way you made money out of media was by being a platform that allowed commercially sponsored messages to be placed in front of lots of individuals. For this to work well, the message had to be be very effective (which is why advertising creative directors made lots of money) and the media had to attract lots of individuals. The more individuals a platfrom could attract, the more money it could charge for its real estate. This model doesn’t really work in social media, because, as we are slowly starting to realise, platforms such as Facebook are not really media platforms. Facebook can more easily be understood as a tool or an infrastructure. Despite what the film says, it is not a social network, it facilitates social networking. There may be huge numbers of people using the infrastructure – but you can’t reach ‘all of Facebook’ in the same way as you could reach ‘all the readers / viewers’. In reality, Facebook is an eco-system comprised of a vast number of tiny interactions bewteen very small groups of people. This creates a problem, because the commercial opportunity within these types of interaction is highly restricted. In the same way that no-one would want a commercial message inserted into a phone call, people don’t see a role for commercial intervention or interuption in the individual, small scale, relationships people have on Facebook. This is a big problem for Facebook, because its current very high valuation is based, in large part, its status as a platfrom that can access millions of people. It has the millions of people, but it cannot provide the access in a way which makes commercial sense and complements the way in which people use the infrastructure. It can only sell itself as an advertising platform, but it is slowly realising that the value of an individual person within Facebook is an awful lot less than the value of an individual reader or viewer. Facebook is coming face-to-face with one of the fundamental rules of commercialising social media: in social media, you can’t make money out of individuals, only communities. Essentially, there are very few chinks in the armour within individual interactions in social media that allow a credible intervention by an institution or commercial organisation. That is not to say that you should abandon the individual. Listening to individuals and their conversations, and responding where necessary is still a hugely valuable exercise. 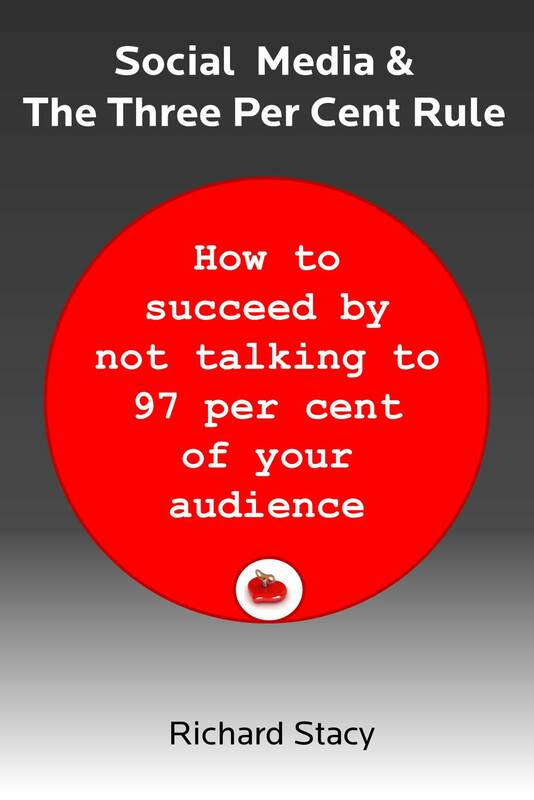 It is just that 99.99 per cent of all social media activity is un-receiptive to commercial intervention and thus it is just not scalable as a way of reaching lots of people. However, this starts to change when you stop focusing on the individual and start to focus on the communities that individuals might form (focusing on behaviours, not on platforms or tools). Community is undoubtedly the ‘Next Big Thing’ in social media. The community is the new individual and the community probably represents the only sensible entry or engagement point for most institutions. In working out how to extract commercial value from community it is important to recognise one of the other fundamental rules – which is that individuals will be reluctant to allow themselves to be managed within communities controlled by institutions, rather they will prefer to form communities to manage their relationships with institutions. As people become more familiar with the tools of social media, they will work out how easy it is to create communities that help them ‘do stuff’. Facebook understands this – which is why it has recently made changes to Facebook Groups and Facebook Pages which are designed to make it clear that Pages are where corporate organisations can have their Facebook outpost but that Groups are for individuals. Facebook is going flat out to encourage its users to aggregate themselves into small communities (Facebook Group functionality starts to de-grade once the Group exceeds 250 members), because it knows that its user base becomes commercially much more valuable as a large number of small communities than as an even larger number of individuals. The problem, of course, is that there are many other tools individuals can use to create communities – many of which are better than Facebook and thus Facebook is in a race a aginst time to try and establish the behaviour of community formation within Facebook in order to try and steal a march on the competition. This is consistent with Clay Shirky’s assertion that revolutions don’t occur when societies adopt new tools, but when they adopt new behaviours. It is also consistent with Facebook’s objective of being the single tool you use to “do” all your social media, rather than being an application you can use to integrate tools produced by others. In a few hours time I will be bidding farewell to my Ning networks. I will also stop advocating Ning as something people should look at in order to start building their own networks and communities. This is because Ning is no longer free and thus no longer an experimental tool people can use to explore the potential for digital community formation. This is happening right at the time when bespoke community formation is about to take off (in my opinion). No doubt Ning is doing this because some accountant has looked at the books with an eye to a future sale and predicted that the busiess will be more valuable with a dramatically smaller user base paying up to $500 for the service. My instinct is that this is shortsighted. The commercial dynamics of social media tend to favour models based on high volume and low price (often no cost to user, but with revenue from advertising or additional services or upgrades). Not having a free entry level service if you still wish to attract a large user base is a problem. I suspect it means that Ning is abandoning the mass and simply tring to squeeze a bit a revenue out of the base they have attracted. This is a mistake. In the future people (i.e. the mass) will form communities in order to manage their relationships with institutions rather than gather together in communities created for them by institutions. Anyone who facilitates this process stands a chance of success. Ning, unfortunately, is siding with the institutions and there are many better institutional products already out there. It is probably making the classic mistake of being neither one thing nor the other and misunderstanding a gap between markets as a gap in the market. However, accountants rarely understand markets and people – only numbers.